Ninety miles south of Cuba, the Cayman Islands have some of the world's most beautiful coral reefs, and almost perfectly clear waters to admire them in. But, as well as being a haven for divers, the Cayman Islands' idyllic beaches attract travellers looking for a perfect Caribbean island getaway. Grand Cayman is by far the most developed island, though you'll find most of the best places to stay in the Cayman Islands on the quieter Little Cayman and Cayman Brac islands. The Caymans are technically a British Overseas Territory, but they feel much more American, Grand Cayman especially, what with their Cayman Island Dollar and the visibility of the big US brands here - though they do drive on the left. The main resort strip on Grand Cayman is Seven Mile beach, popular for its 5.5miles (!) of soft, white sand, occasionally fringed by the shade of a few palms, and just north of the small town of George Town. In addition to resorts and villas along this stretch, you'll also find many condos and golf resorts. Grand Cayman is home to most of the group's main on-land sights; the Botanical Gardens, National Trust Visitor's Centre and historic mansions etc. Grand Cayman also has some of the group's great dive sites - most of them wall dives, which start in shallow waters then are pretty much vertical. So it is definitely the island to book if you want to see and do more than just lie on a beach and soak up the sun! Little Cayman is much less developed with just a few hotels and a pretty quiet, laid-back way of life. This is the place to come for complete relaxation. Cayman Brac has more Caribbean character, and even fewer hotels. Cayman Brac's beaches aren't quite as perfect, but the diving is spectacular! So those looking for an authentic feel, should find what they're looking for here. Visit the Pedro St. James National Historic Site, the oldest building on the Cayman Islands which has now been converted into a museum. Learn all about the island's rich history, including its struggle for independence. If you're into your scuba diving then check out the MC Captain Keith Tibbetts, a wreckage of a Russian ship, which of course shares its underwater home with a variety of wonderful marine life. The Cayman Motor Museum is a top spot to spend a few hours, filled with over 80 vehicles - including the original Batmobile! Nature-lovers will love the Stingray City experience - where you head out in a boat to feed wild stingrays and can even go swimming around them, (you may get one to pose with you for a photo if you're lucky!). Don't worry though, they're used to humans and are perfectly harmless. The stunning Seven Mile Beach is a great place to spend the afternoon with a picnic and soak up the sun. With a long sandy beach and wonderful views, it's idyllic. Don't forget that these little pieces of Caribbean paradise are busy year round, but especially in December and January. So if you want to guarantee a room in one of the best places to stay in the Cayman Islands for Christmas or New Year, you'll need to be very organised and book well ahead. Pirate's Point on Little Cayman offers a great blend of the best the Cayman Islands have to offer. There's diving, of course, but it is also set just away from miles of white sand and has bikes, hammocks, nature trails and several jacuzzis. They have just 11 boutique rooms and suites in beachside cottages. 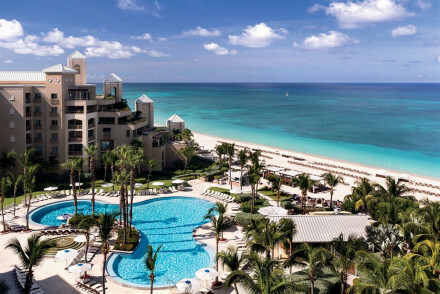 The Ritz Carlton Grand Cayman is an obvious choice, but this five star beach resort certainly knows how to look after you. It's everything you'd expect from the name, with a few cool eco dashes and extra kids entertainments thrown in. The Sunset House Hotel, right on George Town's rocky coast, is an intimate boutique hotel famous amongst the diving and snorkelling fraternity. There's a choice of rooms, suites and apartments - all with kitchens and two double beds. Plus, there's direct access to the ocean via a ladder from their rock pool. They also offer complimentary dive lockers. 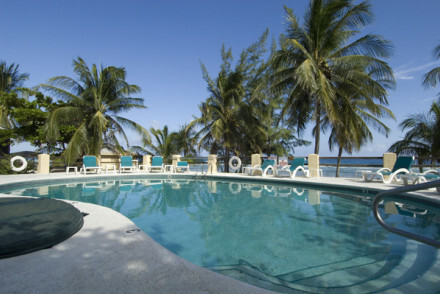 The Brac Reef Beach Resort is geared up to help you explore some of the Cayman Islands' best dive sites. While the resort is on Cayman Brac, it's a short boat ride to Little Cayman. The accommodation is pleasantly Caribbean, and there's plenty to do after diving - like watch a movie on the beach - one of Cayman Brac's nicest, or have supper there. There are also tennis courts. 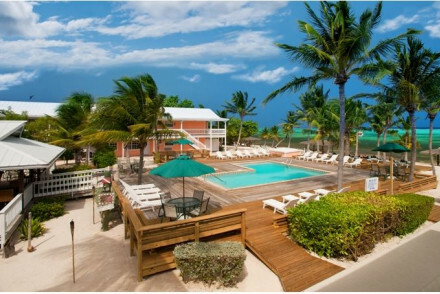 The Little Cayman Beach Resort is a diving resort with added chic. Their collection of one and two bed cottages have direct access onto the beach - though there's also a pool, and free bike hire, and a gourmet restaurant and spa. 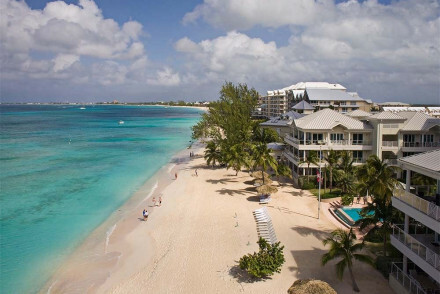 Intimate and inexpensive, the Turtle Nest Inn in Grand Cayman's charming village, Bodden Town, has a collection of apartments and two bedroom condos almost right on the beach. There are ocean views from all angles, two pools and the room rate starts at £61 per night. 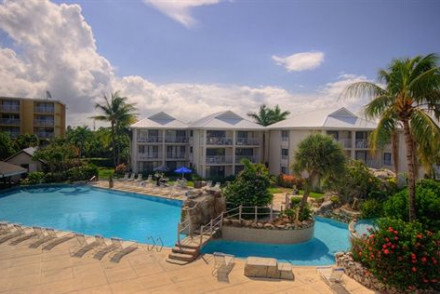 George Town's Sunset Cove is a large, cheerful, good value beach resort within walking distance of shopping, nightlife and many of Grand Cayman's headline attractions. The decor is colourful and the two bedroom condos have kitchens and balconies. There's even a separate pool just for kids. 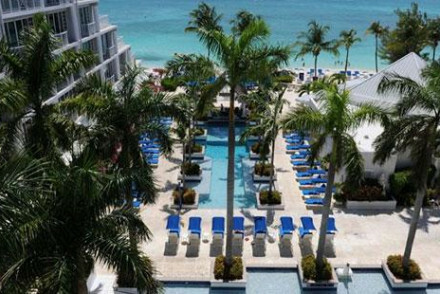 The Grand Cayman Beach Suites is also along 7 Mile Beach, and it's perfectly geared up to make the most of its beautiful beachside position. The elegant two bed suites have sea views and kitchens, whilst there are two large pools - one with a swim-up bar, and kid's club. 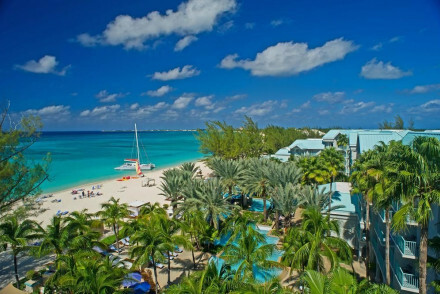 The Westin, Grand Cayman is a family-friendly spot located on Seven Mile beach. Featuring lovely, classical accommodation and a great restaurant, there's the added bonus of a kids club and babysitting services if you fancy having a night to yourselves! The Southern Cross Club on Little Cayman is a tiny collection of chic, Caribbean style cottages, right on the beach. They specialise in romantic candle-lit dinners on the beach, gourmet cuisine and facilitating any deep sea fishing or diving interests their guests may have. Easily one of the best places to stay in the Cayman Islands if you want a little spoiling alongside your diving and fishing. Cotton Tree is even smaller - it has just four two bedroomed cottages, each with their own jacuzzi, just back from 7 Mile Beach. Before you arrive your kitchen is fully stocked, or you can arrange a chef to look after you. 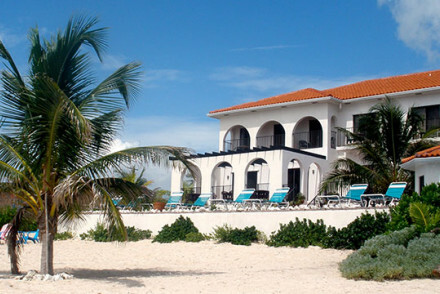 Le Soleil D'Or is a luxurious stay boasting a supreme location on a white sand beach. You can either book a boutique room, with Mediterranean white on white style, or stay in a private villa. Gourmet cuisine served up and you can spend your days relaxing by the picturesque pool. International guests can fly into Owen Robert International Airport if you're heading to Grand Cayman, or Charles Kirkconnell International Airport on Cayman Brac. The Cayman Islands are tropical island paradises and should be enjoyed as such, so the dry, sunny winter period is the perfect time to visit. Especially if the warm, sunny winter here corresponds to your winter at home, between November and April. There are good deals available during the more humid seasons, but bear in mind that the Caymans also experience hurricanes, so do your research carefully. 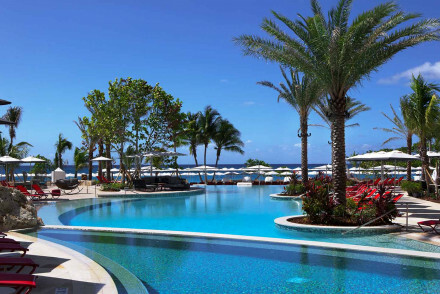 Browse through our list of all the best places to stay in the Cayman Islands. An intimate and inexpensive inn on the beach in a charming village. Apartments and two-bedroom condos with kitchens, living areas, and direct access onto the beach. Lovely pool, sun deck, and ocean views from all angles. Family friendly and laid back. Views - Stunning ocean views from all angles. Diving - Enjoy a two-tank dive with Ocean Frontiers. Kayaking - You can take out one of the hotel's kayaks. A large cheerful beach resort surrounded by white sands and azure ocean views, but still within walking distance from shopping, nightlife and attractions. Colourful rooms and two-bedroom condos have kitchenettes and balconies. Swimming pool and kids pool, restaurant, and beach. Families - Two bedroom condos with kitchens are ideal for families. 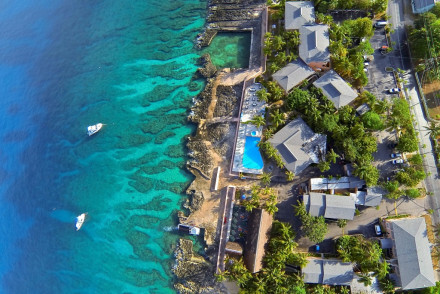 An intimate boutique on a rocky shoreline with renowned diving and snorkelling. Rooms, suites, and apartments with kitchens all have two double beds. Sea water pool and ladder to the sea, sunset boat trips and dives, restaurant, bar and miles of ocean views. Family friendly, three day packages. Active Holiday - The hotel's main things are diving and snorkelling, for which it has a renowned dive centre. Diving - The rocky shoreline is renowned for its diving. Complimentary dive lockers are provided. Families - All rooms, suites and apartments have two double beds. A luxury hotel boasting an epic location on a white sand beach. Take a room in the boutique hotel or, for utter privacy, hire a villa. Find simple Mediterranean style with white on white and plenty of light. Dine on exquisite cuisine with produce coming from the property's own farm. Fabulous. Beach Life - A stunning seaside escape, located on a picturesque white sand beach with turquoise seas. Diving - Enjoy more than 50 dive sites, including reef, wall and wreck diving and 100-foot crystal clear visibility. Birdwatching - There's almost 200 part- and full-time resident species of birds on Cayman Brac. Family-friendly with impressive facilities. Part of a string of American hotels along the famous Seven Mile beach. Prides itself as a wedding location. Excellent restaurant. Handy mini-shopping arcade. Sights nearby - Visit the ancient coral formations of Hell only six km from the property. Diving - Diving lessons are offered in the resort’s diving centre. Swimming Pool - Beautiful outfoor pool. A dive resort geared up for exploring some of the best Cayman dive spots. Caribbean style ocean view rooms and suites, al fresco dining, movies on the beach, spa, outdoor massages, tennis courts, and access to pure white sands. Ideal for families and those with a sporting agenda. Diving - Dive the best sites in both Cayman Brac and Little Cayman, including famous Bloody Bay Wall. Active Holiday - The resort is dedicated to diving. 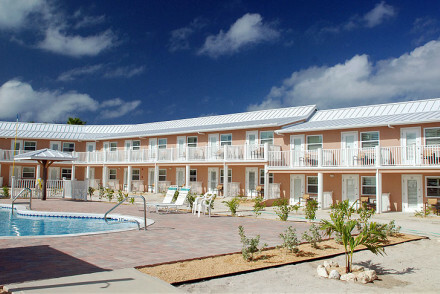 On the beach - Located on the South Shore of Cayman Brac with 1,000 feet of beautiful white sand beach. A boutique chic diving resort with one and two bed cottages that you can walk straight out of onto the beach. Creamy interiors and all the mod cons, large pool, bikes to borrow, boats to hire to dive the reefs, gourmet restaurant, and special beauty treatments in the spa. Family friendly, sporty. Active Holiday - Diving, swimming, fishing, mainly waterports to get involved in. Beach Life - White sands for miles. A good Four Star beach resort with excellent facilities. Elegant two-bed suites in picturesque surroundings with sea views. Three restaurants, a spa and beauty therapies, large pool, kids club, and just a short walk onto the beach. Perfect for families and those who like having everything on site. Beach Life - The ultimate resort geared up to beach life. Swimming Pool - Two outdoor pools, one with swim up bar, the other with a whirlpool. Luxury 5* beach resort. Decor is crisp and chic with white furnishings, mahogany four poster beds, marble bathrooms and local artworks. Outdoor pool, gym, spa, tennis courts, golf course, watersports centre. Excellent Cayman cuisine in Blue restaurant, elegant bar. Total relaxation and pampering. An island get away with boutique chic accommodation, a diving centre, and miles of white sand. Charming rooms and suites in cottages on the beach, large fresh water swimming pool, gourmet restaurant, bikes, hammocks, jacuzzi, nature trails, and of course diving. Family friendly, 7 day packages. Active Holiday - Diving is the focal point at the resort. Swimming Pool - Large fresh water swimming pool. 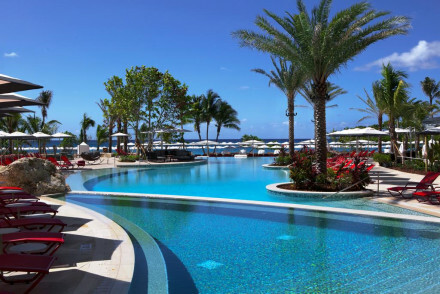 A luxury contemporary resort set on Cayman Island's legendary Mile beach. Smart rooms offer fabulous views from the floor to ceiling windows. Offering four eateries from casual to fine dining, two oceanfront pools and an utterly spoiling spa. The perfect beach break. A honeymooner's paradise. 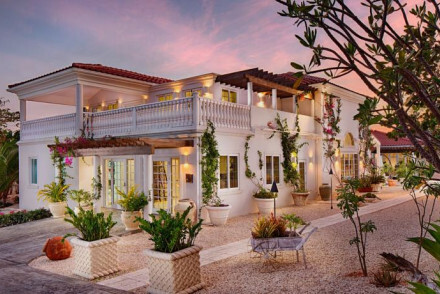 Chic Caribbean-style cottages and honeymoon suites set on the beach. Romantic candle lit dinners, deep sea fishing, diving on the coral reef, gourmet cuisine, swimming pool, and as much relaxation or activity as you please. A tropical romance with a difference. Fishing - For those who enjoy deep sea fishing the lodge has a fully-equipped 24′ Pursuit for tuna, dolphin, wahoo, and marlin. Diving - The reefs around provide some of the finest diving in the world. Take the Kimpton luxury hotel group, bring it to one of the Cayman Islands most iconic beaches, and you have a recipe that is guaranteed to work! Interiors are as elegant and indulgent as you would imagine, with well-placed nods to local culture. The facilities, cuisine and service don't disappoint. Opulent apartment complex. Decor is creamy with marbles, gilded mirrors, and large modern kitchens with granite bars. All suites & villas have jacuzzi bath tubs. Outdoor infinity pool, gym and massages available. Excellent Italian menu and slick bar. Luxurious and romantic. Private Hot Tub - All suites and villas have jacuzzi bath tubs. Swimming Pool - Beachfront infinity pool with waterfall.